The Canary Upwelling System is the most productive upwelling ecosystem of the four main upwelling systems around the world that supports high fish production, including small pelagic planktivorous fish that provide food security, a significant share of jobs and income for a country like Senegal. Beyond the mesoscale variability characteristic of upwelling systems, the southern part of the Canary Upwelling System is marked by the alternation of an upwelling season (November-June) and a hot, rainy season (July-October). Along the Senegalese coast, upwelled waters rich in nutrients and oxygen-depleted are replaced by tropical waters that are low in nutrients, but the inner-shelf keep being fed by inland waters. Finally, circulation and particular physical processes over the broad and shallow plateau of southern Senegal generate distinct sub-provinces. 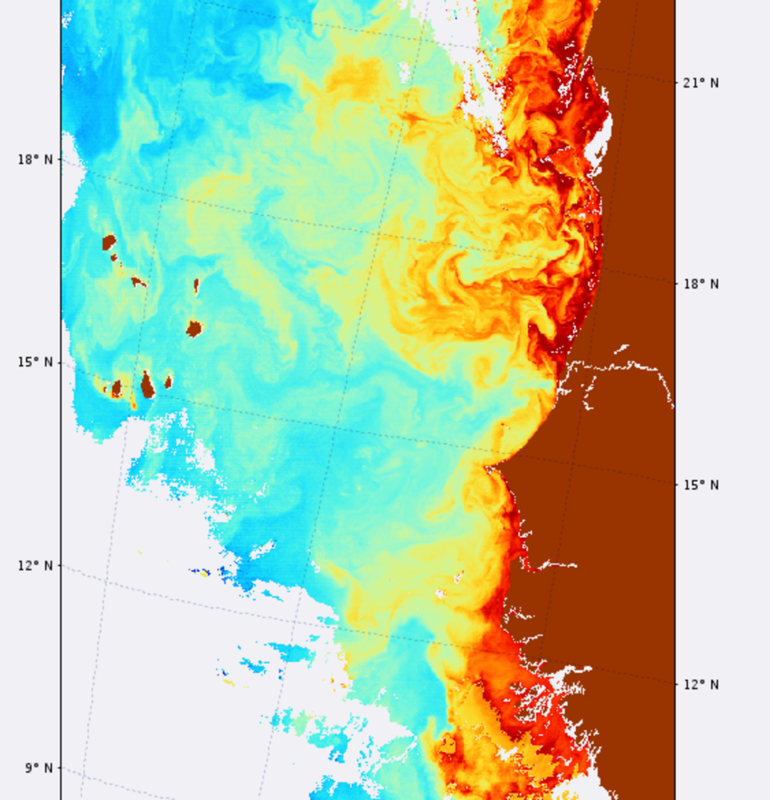 The fundamental role of phytoplankton in the marine food chain and the different spatio-temporal scales of variability involved make the southern Canary Upwelling System a particularly interesting region for studying the main phytoplankton functional groups and their response to physical forcing. To the intrinsic interest of this oceanic province is added the interest of studying the response of the phytoplankton compartment to current disturbances (climate change, deoxygenation,acidification, pollution). This thesis project aims to study the different phytoplankton groups present, their distribution, their spatio-temporal variability and their optical properties. 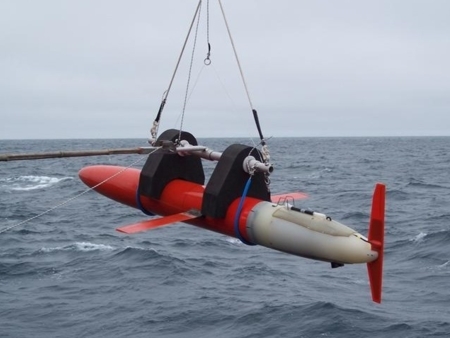 As such, the project aims to contribute to the objectives and opportunities offered by the Ocean Color Advanced Advanced Imager (OCAPI) mission under development. Indeed, OCAPI is a water color sensor that must be put in geostationary orbit and thus allow to observe the Atlantic Oceans North and South continuously, i.e. major breakthrough for the observation of phytoplankton communities whose life cycle is fast (order of the day) and whose observation is masked by the presence of clouds. The thesis project should make it possible to anticipate the expected results for such a mission. 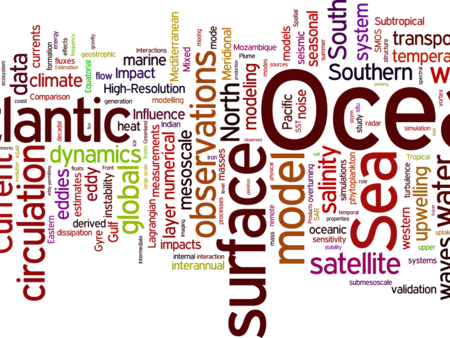 These objectives include the study of the diurnal cycle of optical properties and the communities involved, the physical-biological coupling at sub-mesoscale, and the understanding of the dynamics of Senegal's coastal environment and ecosystem. Although the processes governing this system are unique, this project will undoubtedly include a generic component applicable to other coastal zones. This study will also feed the CROCO-DARWIN coupled modeling project carried out by members of the consortium invested in the study of this region. To fulfill these objectives, we will use the in situ observations collected during 6 field trips realized during the last 5 years. These in situ observations will be supplemented by two-year monthly surveys. 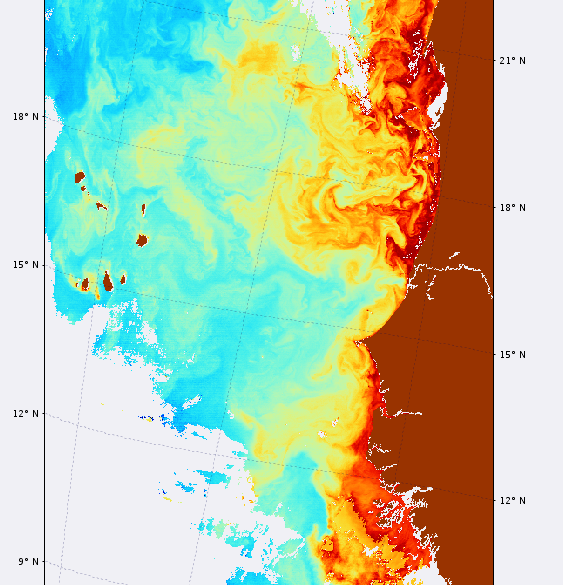 Information on the phytoplankton communities present will be supplemented by information on their optical properties in the near surface and from space. This information will enable us to develop an algorithm for determining phytoplankton communities from satellite observations.